Does your kitchen feel drab and boring? Are you looking for a way to add some class to the room? Then, you may be interested in a fun weekend project. We’ve compiled 7 do-it-yourself projects that you can complete in 2 days or less and are sure to amp up your kitchen’s style. Sometimes tradesman can be lazy when finishing off the backsplash in the kitchen, either putting up too much tile or not enough. The results are awkward lines and gaps where the cabinets end or the next wall appears. 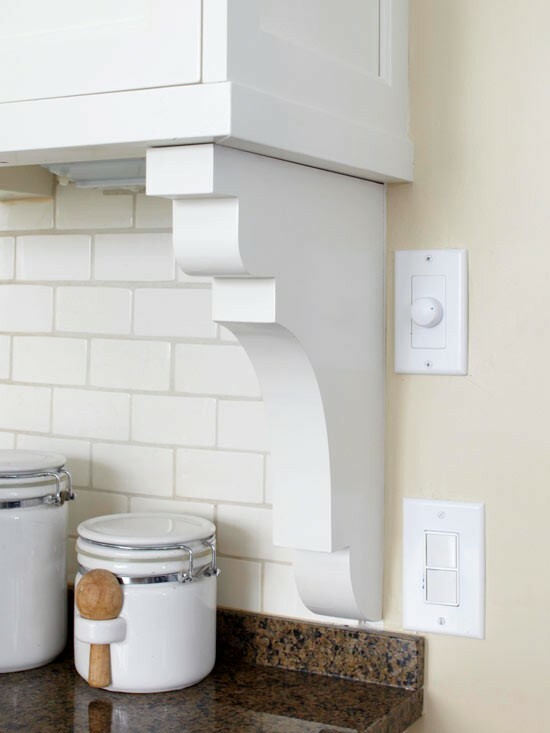 To make the kitchen look more finished, you can end the tile with a corner bracket or corbel. It’s a simple fix that adds a bit of elegance to the kitchen. 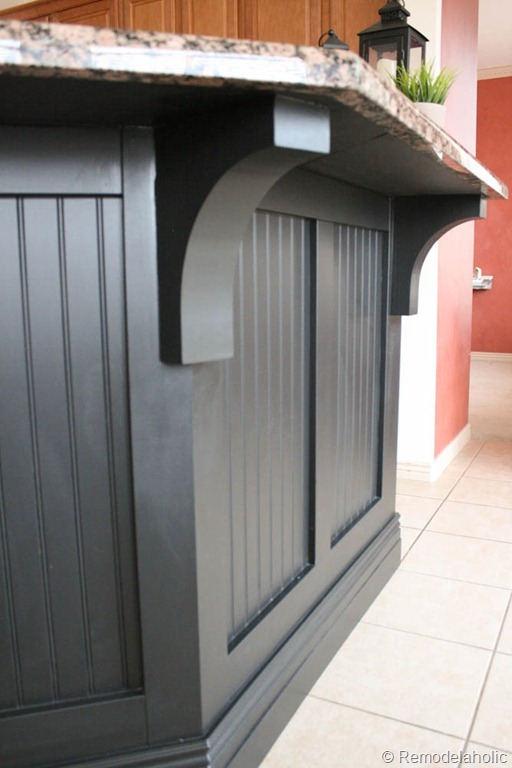 Just make sure you choose a style that matches the cabinets and molding in the kitchen. Otherwise, it will stick out like a sore thumb. For more finishing ideas, check out Opal Design Group’s blog – 5 Ways to Add Style to Basic Builder Kitchens. Do you have a breakfast nook with a bay window in your kitchen? Add additional seating and utilize the odd angles of the wall with a built-in window seat. Sarah at Thrifty Décor Chick did just that in her kitchen remodel. 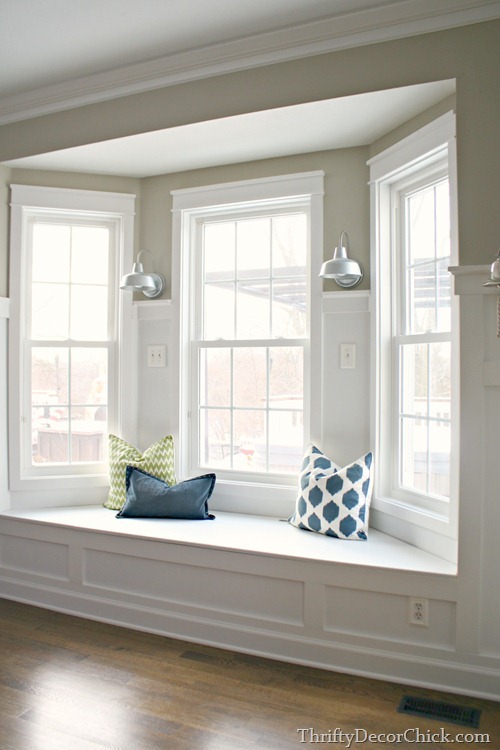 She shows you how she and the handyman created this gorgeous window seat for just $300. It even has built-in storage. Basic builder cabinets can be pretty plain, but there’s an easy fix that doesn’t require any restructuring. 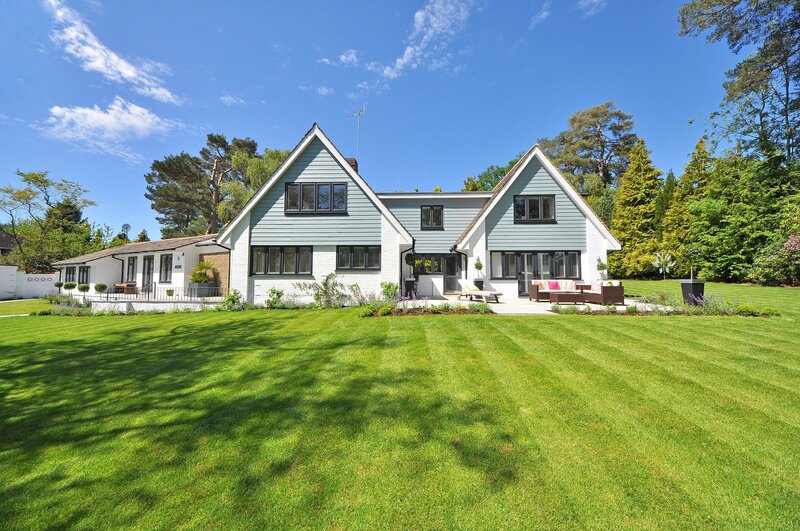 Applying exterior details like planks, board and batten, corbels, and molding can really make your peninsula or island shine, and it only requires the use of a nail gun, drill, wood glue, and a saw (unless you have your pieces pre-cut). 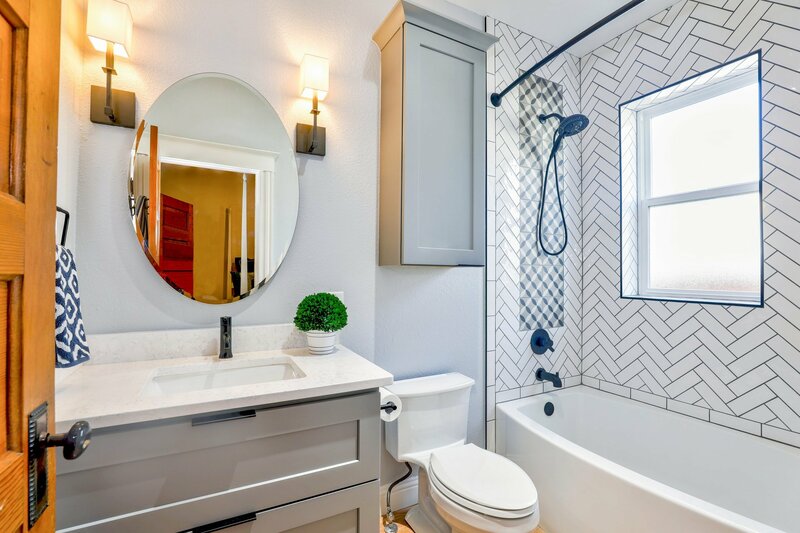 Check out the tutorials from Remodelaholic (pictured) and The Happy Housie. Cabinet doors with glass panes can be a great way to brighten up a kitchen and show off your dishes, and you don’t need to install new cabinets to add them. You can convert the doors of your current cabinets. Depending on the type of cabinets you have, there are a few ways to do it. Here’s a tutorial from My Uncommon Slice of Suburbia that covers the most common kitchen cabinet design. 320 Sycamore has another tutorial that just requires prying off the door’s back panel. We don’t recommend doing every cabinet, but choosing a couple of “accent” cabinets, ones that will help break up the visual pattern of the kitchen. 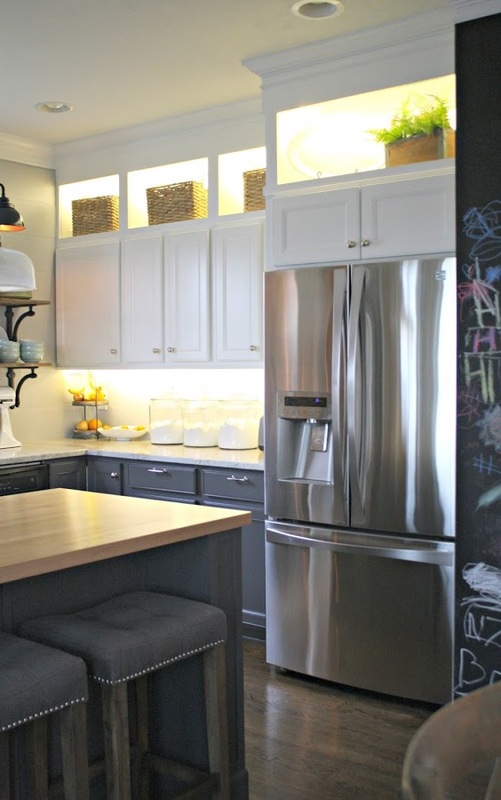 If you have glass front cabinets or a dark kitchen, under cabinet lighting can be a nice touch. There’s a DIY project just for doing that and it doesn’t involve using Christmas rope lighting. Sarah at Thrifty Décor Chick shows you the exact supplies and steps she took to add under cabinet lighting to her own kitchen. Some soldering is required, so a basic understanding of electricity is required. But, just in case, Sarah links to some handy tutorials. Making your kitchen more stylish can be as simple as a fresh coat of paint. 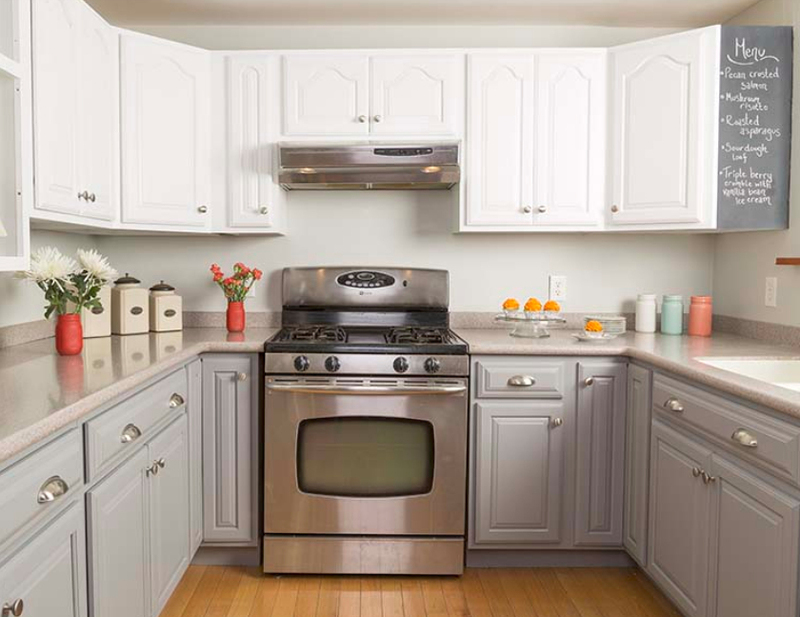 White cabinets are very popular nowadays, but we’re also seeing a growing trend of more than one color cabinets. 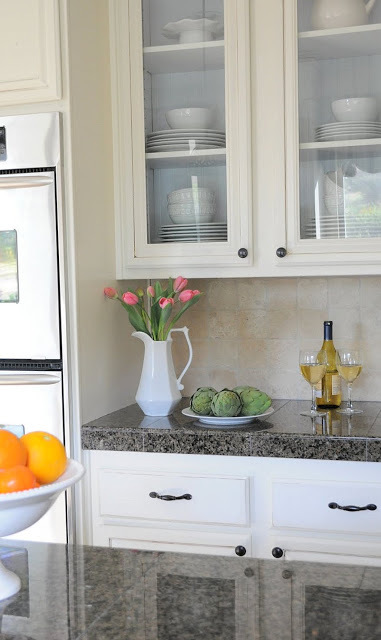 The Home Depot blog has a great step-by-step tutorial on how to paint kitchen cabinets, and you’ll notice that their top cabinets are not the same as their bottom ones. 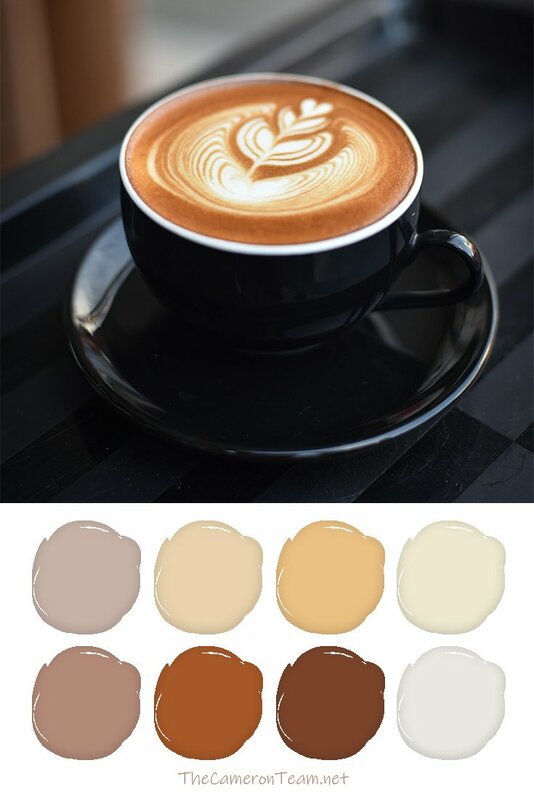 The key to pulling this off is choosing neutral colors from a similar palette. 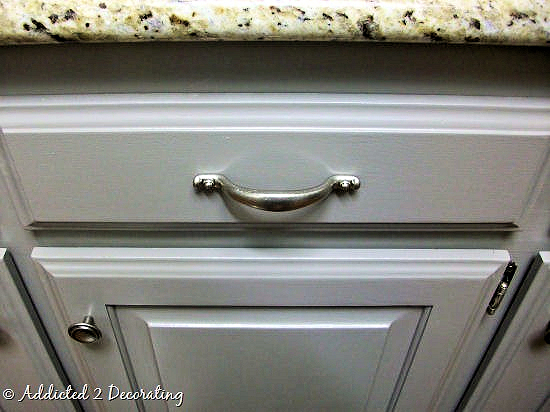 A project as simple as upgrading the cabinet hardware can have a positive effect on the overall style of your kitchen, especially if you still have the ‘90s gold knobs. The hardware is held on by screws, so if you choose a similar style, you really just need a manual or electric screwdriver to get it all changed out. However, if you want to change from knobs to handles or vice versa, here’s a tutorial from Addicted 2 Decorating on how to do that. 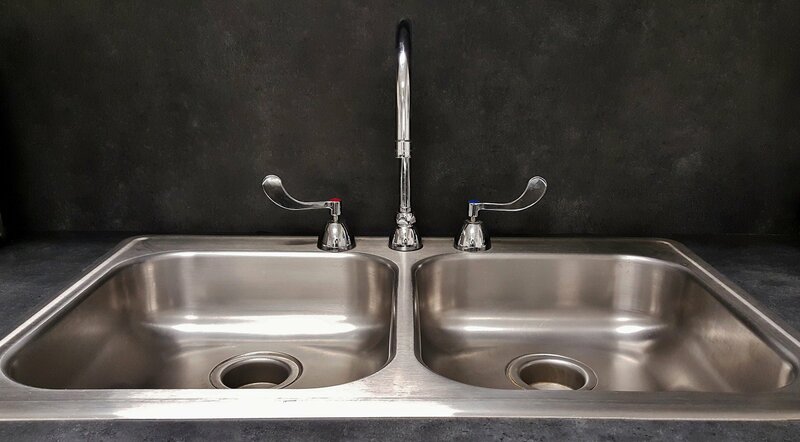 If you replace the hardware, you can tie everything together by installing a sink faucet with the same finish. If you’ve never replaced a faucet (or sprayer), Home Depot has some great how-to videos that will show you the whole process from start to finish. New light fixtures can be a great update too; however, we only recommend replacing your current ones if you already have experience doing so. Otherwise, hire a professional. We don’t want anyone getting electrocuted. 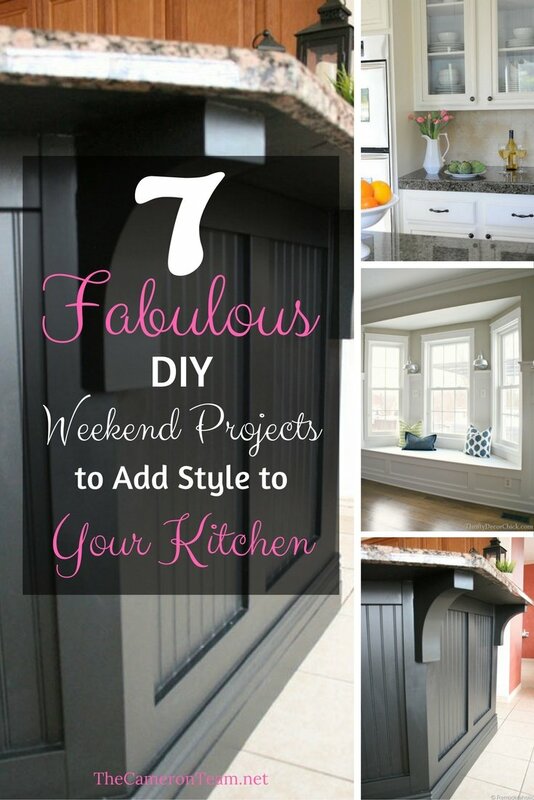 If you’re tired of your current kitchen, but don’t have a big budget for a complete makeover, try a weekend DIY project (or two). You may find it’s just what you need to fall in love with your kitchen again. And if you’ve seen a great weekend kitchen project that hasn’t been mentioned here, share it in the comments so others can find it, as well!